The Habs were back at it on Saturday night as they looked to extend their winning streak to five as they hosted Philadelphia. 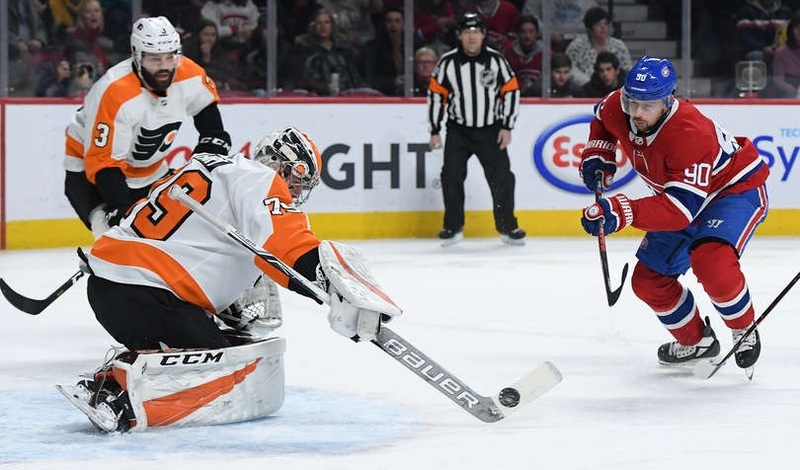 However, a strong effort from Carter Hart helped shut the Canadiens down as they fell 5-2. Claude Julien opted to make a pair of changes from their winning lineup the night before. Antti Niemi picked up his second start of the week between the pipes while Charles Hudon drew in with Matthew Peca ceding his spot. The Flyers got the best chance of the period and it came early on as Wayne Simmonds was left all alone in front, had Niemi beat, and rang it off the post. 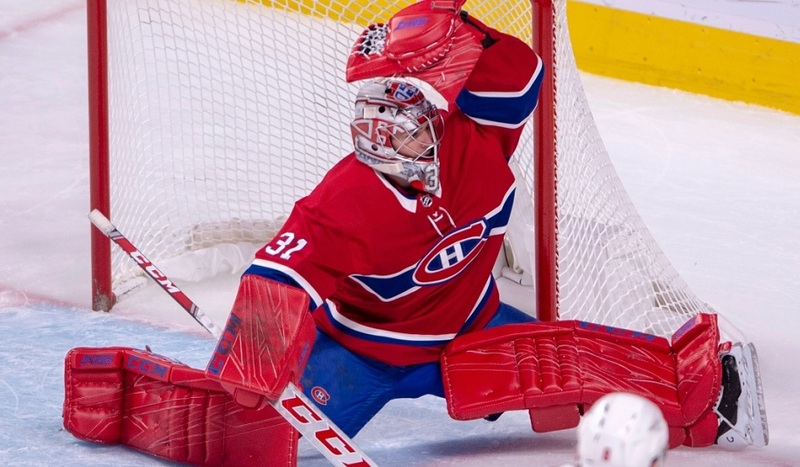 Moments later, Hudon had a good opportunity on a wraparound but was unable to beat Hart. The Habs spent the next several minutes controlling the play in Philadelphia’s end. However, they couldn’t generate much in the way of scoring opportunities and weren’t able to open up the scoring. At the 12-minute mark, Travis Sanheim took a 182-foot dump-in at Niemi that was credited as a shot on goal. Normally, that doesn’t warrant a mention but this was their only shot of the period. While that was their lone shot on goal, they did have another opportunity shortly after but Travis Konecny missed the net. Coming the other way, the fourth line looked decent in transition and Michael Chaput had a good shot but couldn’t beat Hart. Jeff Petry had an eventful final few minutes. He had a nice looking end-to-end rush that saw him deke around a Philly player in transition. However, his shot wasn’t too much of a threat. He then made a strong defensive play in the dying seconds of the frame to stop Oskar Lindblom from getting a partial breakaway. All in all, the shots were 12-1 for Montreal in what was a relatively uneventful opening 20 minutes. Montreal came out firing to start the second but the best chance in the opening couple of minutes may have been when Kenny Agostino redirected a pass on Niemi. 30 seconds later, a neutral zone giveaway led to the Flyers coming in on a two-on-one break. Konecny decided to keep it and fired one on Niemi who had to make an actual save. Philadelphia picked up the first power play of the game when Jesperi Kotkaniemi was sent off for tripping. The Flyers had a couple of decent chances early on but after the first 30 seconds or so, it wasn’t particularly threatening, even with a rare five-forward unit. Both teams traded shots for a little while after that before a strong pass from Victor Mete sent in Joel Armia with a bit of space. He was only able to get off a weak backhander, however, and Hart was up to the task. A minute later, Kotkaniemi made up for his penalty by drawing an interference call on Jakub Voracek. Montreal’s power play was as advertised – terrible. That seemed to get the Flyers going and the Habs paid for it. A Shayne Gostisbehere point shot wound up bouncing to Konecny in the slot. Although he was off balance, he still managed to get off a shot and it beat Niemi to open up the scoring. 35 seconds later, Max Domi was facing a delayed penalty and stopped skating momentarily. His cover was Robert Hagg who instead managed to get off a shot. James van Riemsdyk had the perfect redirection and all of a sudden, it was 2-0. The Flyers were the better team in the period and closed the gap in the shots on goal, outshooting the home side 13-10. Philadelphia had a good chance in the opening shift of the third as Claude Giroux was left alone in the slot. He received a pass from behind the net but missed wide with his shot. A minute later, Jonathan Drouin was sent off for tripping after getting a piece of Radko Gudas. Konecny had the best shot with the man advantage but missed a wide open net. The Flyers kept coming after the power play. Phil Varone and Michael Raffl came in two-on-one but the latter missed the net with his shot. Less than three minutes later, Philadelphia had another two-on-one, this time with offensive players and it showed. Simmonds held the puck and got Petry to commit to him which left Nolan Patrick with a yawning cage to score his fourth in the last two games (after having just four on the season beforehand). The Canadiens were clearly running out of gas quickly. To their credit, Montreal didn’t give up as on the next shift, they forced a turnover in the offensive zone. Artturi Lehkonen got control and sent it to Tomas Tatar who quickly fed it to Domi. The centre helped make up for his prior lapse in coverage as he sniped it past Hart to get the Canadiens on the board. Unfortunately for the Habs, it just wasn’t meant to be. Two minutes later, Patrick came off the bench on a change and wasn’t picked up defensively as he blew by Drouin and Brendan Gallagher and beat Niemi top-shelf to restore the three-goal lead. With four minutes to go, Montreal tried to make it interesting. A rebound from Gallagher’s shot bounced right to Brett Kulak who had an open net and made no mistake. Two minutes later with Niemi pulled, Drouin wound up with a wide-open cage to shoot at but missed badly. A minute after that, Raffl picked up the empty-netter and that was all she wrote. Hart looked shaky at times but had a solid game overall, turning aside 33 Montreal shots. Niemi didn’t fare as well as he made just 19 stops on the night in a losing effort. Neither side was successful with the man advantage as the Flyers were 0/2 and the Canadiens 0/1. 1st Star: Victor Mete – He just can’t buy a goal, can he? He had a couple of good opportunities but couldn’t beat Hart. He also made a really nice feed on Armia’s chance in the second. On the defensive side, he was good as he used his speed to break up a couple of potential Philly opportunities. He’s a lot better than he was early on in the year which is a great sign. 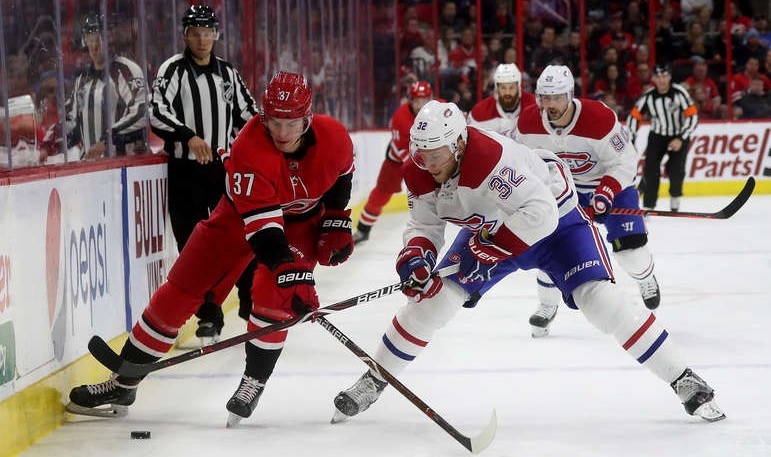 2nd Star: Brendan Gallagher – He was caught flat-footed on Patrick’s second goal but other than that, he was one of Montreal’s more consistently-dangerous players. He led the game in shots by a significant margin and drove the net a few times, picking up an assist for his efforts on the Kulak tally. 3rd Star: Max Domi – The poor decision on his delayed penalty aside, he had a decent game. Domi held his own at the faceoff dot and he and Tomas Tatar have shown some early chemistry which helped get him his goal. Honourable Mention: Charles Hudon – I could have gone with Brett Kulak here but I wanted to highlight Hudon’s performance. He didn’t look out of place with Jesperi Kotkaniemi and Joel Armia and had a few good scoring opportunities. Claude Julien clearly noticed as his ice time was his third most of the season and the highest it had been in well over two months. A good effort considering how long he’s sat.